Chicken Blog: What? These Ol' Things? I'll pretend to be coy... My kitty-kitty shoes? You like? They're just something to slip on when I am pussyfooting around. Here kitty-kitties, come to mama. Oh, yeah. Had to have them. I saw them at Happy Zombie's house, and then I traipsed over to Calamity Kim's place and sure enough, there they were again. I hope you can adopt a pair too. With any kitties you bring home there is a period of adjustment... they were a bit tight across the top of my feet. Monica, is that why you removed the strap? But, beauty hurts, as the saying goes, so I wore them for a little bit at a time every now and again, and I find they are loosening up and getting comfortable. I know that when Nikkipolani brings home kitties, they get the best, and Aunt Carol would give them her utmost love and devotion too. It's funny. Most places I go, I am like the invisible woman. Quiet. Low-key. Mousy. Dressed to kill mildly irritate. But the kitties they Meow and whenever I take them out on the town, they turn heads. It kind of throws me off-guard, when they call attention, purring like they do. They get a lot of compliments. Many, many comments and nods of approval. 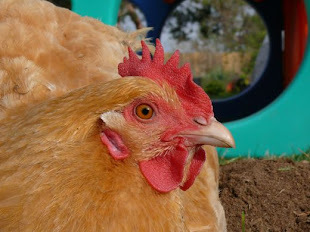 Tara, if they came in Chicken I'd faint. If they came in Maria's size, she would leap, fly and slide down a rainbow. but i am more impressed that your legs are shaved. Wow. Or is it (yes), MEOW! Those are THE best shoes I have ever seen in my whole and entire life. I love that you are out there, turning heads, being noticed, being envied for those shoes of yours. Dorothy didn't have it as good! Love them! wish I had a little extra cash - I would get a pair... You will just have to wear and take pictures of them once in a while so I can enjoy them too! So it's shoes that bring out the comment crowds... or is it the kitties? Go Gretchen. We'll have to get our feet together for a picture. Nikkipolani, you and Maria are in a under-served market :: No Fair! Did you try another supplier? Hello Prince George, BC. I am so glad you popped in. 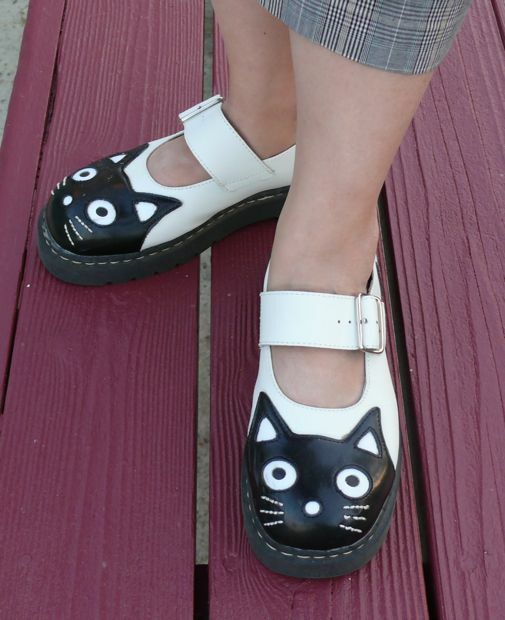 I wish I could bring kitty shoes to the homes of every interested reader. Love the shoes! They look great. Very cute. Come say hi and see what we have been doing. Painfully, adorably cute. I'm going to have the pull the couch cushions and see if I can't find enough coins to adopt a pair of my own!! Those are real cool shoes! Love them!